Welcome to Our Online Reservation Platform . In this document you will find all the useful information about our online reservation system along with our terms & conditions. These terms & conditions are bonding between whoever shall access our product via the Online Reservation System, XML and/or traditional manual booking methods. This platform reserves the right to change and modify these terms and conditions at any time to update of new rules. Our booking system can be used solely for the individual customers up to 9 people. The reservation offers to allocate in single, double, triple, or quadruple rooms or for a maximum of five people sorted out into single rooms. Hotel has the right to cancel bookings made for more than 9 pax / 5 rooms from the same agent and similar dates or to modify rates and booking conditions. During fair periods or specific events the maximum number of pax rule doesn’t apply and hotel has the right to cancel, modify rates and booking conditions after the confirmation. We do not accept abuses of the system. The reservations are accepted from Our Platform. on the basis of "Good Faith"; it will not be permitted to hold spaces from successively reselling, resulting in cancellation. Any of misconduct as mentioned earlier, it’s considered as “breach of contract” and will allow Our Platform the freedom of cancelling any booking and ending the contract in use. It is not accepted to use our system for solely price comparison. If no booking has been made in a period of 1 months consecutively, will allow Our Sales Team to end the contract in use. All of the information (written or in images) presented on the website are exclusive for use of This Platform. and they cannot be copied, printed or spread to a third party if not upon authorization of the same. All of the information notes on the hotels and pictures are accurate; nevertheless we cannot held responsible in any way if sometimes the results are inaccurate or incomplete. For your protection, Our Platform. will not accept direct communications with your clients by phone, fax or e-mail. It will be our responsibility to immediately inform you if this occurs. Your company will be totally responsible for the payment of the bookings implemented through our website. It is the agency’s responsibility to enter the correct email address while signing up to Our Register application. Since this email address will used for all communications regarding bookings made through the system, it is the agency’s responsibility to provide the correct email address. Our reservation system cannot guarantee the actual bedding type in the room or any special request like non-smoking room or high floor. Our Sales team will forward such requests to the hotel but it will be subject to the availability of the hotel at the time of the arrival. The hotel’s classification in stars mentioned in our system is the one stated by the hotel itself and it is possible to be changed at any time. Our System aims only to give general information and cannot be held responsible for the star rating nor the hotel information. The prices are final at the time of confirmation. The booking will be finalized for the total amount confirmed on the system. Rates are confidential and must not be disclosed or used in negotiations with a hotel/supplier or third party. We reserve the right to amend all rates quoted in the event of any changes in Government taxes. Any such charges will affect new and existing bookings for passengers who have yet to stay at the hotel or utilize the service booked. At certain time, bookings may have a price confirmed which is higher than the rate we publish and even the normal rack rate. This is usually due to a hotel charging because of a difficult or busy periods (E.G. Trade Fairs & Sporting Events) In this case the rate on the booking confirmation will supersede the normal rate published. Hotel has all rights to do anything to the reservation, such as release, cancel, change the rate,... 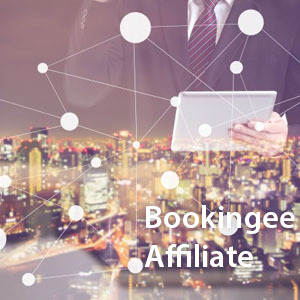 In any cases if hotel apply new rates to existing booking, Bookingee will inform the client and clients can either accept the new rate or cancel the reservation FOC. The rates displayed on this system are valid for leisure use only. If the client of the agency is not travelling for leisure purposes and if it becomes known Our sales team cannot be held responsible if the hotel charges at the rack rate or higher rate than original booking. When the nationality of the client is entered while making a search the agency confirms that the nationality of the passport of the client is entered. The rates displayed after the search results will be for the nationality entered during the search so any incorrect nationality entered may cause financial loss. Our reservation system cannot be held responsible for such financial loss. Our Reservation system cannot be held responsible for the resort fees that hotel especially in the US might charge. This fee is charged by the hotel directly and Our System has no control over this practice. Our System has no responsibility for the extra charges such as parking fees, mini fridge, safety box, television remote, sauna swimming pool use etc. Such charges should be paid by the client directly to the hotel. Our Reservation team tries hard to inform the clients about the supplements such as gala dinners or compulsory dinners during festive seasons but cannot be held responsible for such supplements implemented by the hotel. During fair periods, Exhibitions, Sporting Events etc. our prices may be closer to those rack rates of the hotels. We advise informing the client that the price paid may sometimes be higher than that portrayed by the hotel, to avoid dispute. Should any such date periods change or new rates apply these will be confirmed at time of booking and invoiced at the applicable rate. You must therefore check with your client to pay the increased price. If not you should cancel or amend the booking. Occasionally you may be asked for the prepayment of the entire stay. If such prepayment should not reach us within the dates discussed, we reserve the right to cancel the reservation without issuing further warnings. Some hotels may stipulate that bookings during Fair periods or high season are for a minimum stay. Once accepting the booking you will be liable for all the nights whereby no refund will be given. If cancelling or departing earlier full charges will apply. Rooms may not be held for these periods in fictitious names. In this case non-arrival charges may be incurred. Trade Fairs/Special Events bookings must not be made with fictitious names for you to hold space. Hotels might reject bookings made with abbreviations like TBA. During fair periods some hotels does not accept bookings for more than 3 rooms for the same period so after making the booking you will be informed accordingly. The system permits you to issue vouchers relative to your reservations: they could be personalized with your company logo. In any case where the system makes errors, Our Reservation. will hold itself responsible.You may continue to issue your vouchers keeping details unchanged from that issued automatically by the system, mentioning the supplier's name that will provide the payment for the room. All the payments for extras are to be collected from the client. In the case in which we received an invoice from the hotels/suppliers with your voucher enclosed in which appears more nights than the system confirmed, we will send your invoice for the additional nights. In case of a “no show” or "cancellation" an invoice will be issued for the amount displayed in the cancellation policy at the time of booking. Amount can be up to 100% depending of hotel/supplier terms. Due to most restricted rule, No-show time starts from 0:00 am on check-in date, and no-show is will be applied to cancellation on the check-in date and onward. Cancellations / modifications required after your reservation has been locked (after passed cancellation deadline) must be made in writing and send by email to us, and then you should wait for our reply back regarding your pending fees. We do not make any changes or cancel your booking before acceptance email. The reservations must be cancelled directly on the website and they will usually have the terms of cancellation show in the reservation. The acknowledgment in return will be the confirmation of cancellation, and it will be taken as the date & time for the cancellation. The client is liable to pursue the acknowledgment. At the time of booking the real name of passenger has to be properly noted. Hotels might refuse any change of name and our reservation system can’t be held responsible. This can happen in any hotel but especially for US hotels in some cases, name changes are not allowed. In such cases the booking may need to be cancelled and re-booked if there is still space available. If the hotel rates had changed then the new rates will apply. We do not guarantee at all for any name change at any hotels or any countries. We highly recommend to use the original name for reservations . In modify cases, Suppliers or third parties following their own rules and conditions which may different than Hotels and Airlines that you already accepted before at booking creation time and will follow the same rules as well . Cancellations after the deadline will results in an invoice for the amount stated in the cancellation policy at the time of booking. The client or the customers clients are not allowed to cancel or amend directly with the hotel. Any cancellations or amendments made directly with the hotel are not considered valid. The client should make all the cancellations or amendments and/or early check outs with our sales team authorization using the online system or through email. VERY IMPORTANT: Any amendments or cancellations of bookings must be done via us and NOT the hotel/travel suppliers themselves. Should you fail to do so, full charges will apply for the services booked through us, and regardless of your dealings with the hotels/service providers directly. During particular periods (world fairs, congress or events), the terms of cancellation could be different from those standard. Pay attention to those unusual cases. Any amendment is on request and is not guaranteed. In some cases a decrease number of a night still can increase the overall booking price. The reason is there might be a promotion happening when the original booking is made and that promotion may not be valid anymore. Any modification for flight ticket ( if possible by airline rules ) 27 usd fee may applied by bookingee.com platform .this fee is completely different than airline rules or cancellation charges. That means if for example airline penalty for a change was 100 usd , client will pay 127 usd to bookingee.com . Any cancellation for air tickets ( if possible by airline rules ) 30 usd fee may applied by bookingee.com . This fee is completely different than airline rules or cancellation charges. That means if for example airline penalty for a change was 100 usd , client will pay 127 usd to bookingee.com . VOID, some flights can be void in 30 min when the VOID window is still open, You may request to our sales team to VOID the ticket in that period. Kindly note: the service fee for VOID is 30$ for per pax and we can only apply for ticket-under issuance and ticketed reservation if they support the VOID policy. WAIVE request approval is totally up to hotel and after they printed an official letter for the waive, supplier and service provider need to confirm it as well, in case if provider rejected the waive we could not be carrying out your request. Kindy note: Waive can be rejected due to contractual agreement between Hotel, Provider, Local DMCs. In cases where the hotel booked is closed, overbooked or has maintenance problems and cannot provide the rooms booked, Our Reservation platform is responsible for providing an alternate with the similar category of the original hotel. Our Reservation system cannot be held responsible for the losses for the reallocation as it is beyond the control of our platform. Our Sales team will always try to provide a better alternative and /or compensation whenever possible but better alternative and/or compensation are not contractual in case of book out. This status happening some times when the its last room at hotels / last seat on flight, price / fare revising or non updated data by channel manager . Please be informed that for PENDING reservation, you should wait for updated status at least for 30 to 45 minutes, in meanwhile one of our agent will check that reservation we will confirm it for you, to avoid any duplicate reservation or penalty charges do not take action and try to get a new one. KINDLY NOTE THAT IN CASE THAT YOU DENIED OF ABOVE PROCEDURES FOR PENDING BOOKINGS AND IN CASE OF DUPLICATE RESERVATION, YOU / YOUR CLIENTS ARE FULLY RESPONSIBLE ABOUT THE FOLLOWING CASES..
A booking is confirmed only when its status stated as confirmed. Kindly note: It takes 48 hours to check the availability for On-Request booking and there is no guarantee to have it confirmed. In no circumstance may someone disclose the prices, terms and conditions published on our website, if it doesn't personally apply to your company. We reserve the right to interrupt every work relationship, with consequences of the cancellation based on your practices, if we should recognize a misuse as such. We offer multiple payment options. Please discuss the payment options with your account manager. Our Reservation platform. functions as an intermediary. We will not be held responsible for any damage that could derive to the clients from catastrophic events, floods, earthquakes and all those situations and conditions that cannot be linked to our company as acts of negligence. In case of Emergency or if you have problem at the hotel/transfer the agency or the end customer has to call to Emergency Phone number on their Voucher’s or Call to their Agent. Please take note we will NOT CONSIDER any complain/refund if Customer do not call or do not get any slip from hotel’s in case of problems with our services. In a case of disputes or protests, the complaint should come to us written in the best way possible within Fifteen days of the last day of the occupancy and only if the agency or the end customer previously called the our emergency phone at the time of problem. After this deadline nothing else will be taken into consideration. If the client leaves the hotel before the check-out date, an invoice will be issued for the full stay and if the hotel confirms a reduction, it will be our responsibility to issue a credit note for the amount to refund. It is compulsory for the client before leaving the hotel to ask for a written declaration that states the exact date in which the stay was terminated and it's availability to carry out the refund from the hotel. This document should be presented to our sales team in order to get the refund for the unused nights. Any complaint which cannot be resolved at the hotel must be notified to our sales team with a document taken by the hotel proving that the hotel acknowledges the problem. Our sales team will get back to you between 5-30 working days depending upon the nature of your query. 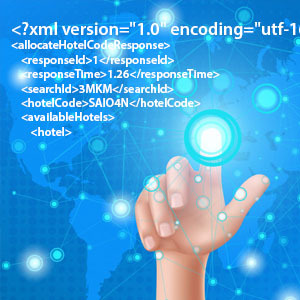 Our support team works very hard to provide the most updated and correct hotel information but because of reasons beyond our control we cannot be held responsible for the hotel information, pictures and facilities of the hotel displayed on the website. Please do not hesitate to contact us or the hotel if any facility or a feature is important to you. Otherwise our reservation system again cannot be held responsible. All other details are supplementary information. For example : (2 bed) means , room includes bed for 2 persons. not 2 king beds. Note: Remark will overrule the above format. All booking requisitions shall contain clear, accurate and specific information required for issuing correct tickets and in the format as prescribed by P & M Travel Technology from time to time. Tickets once issued shall be conclusive, final and binding on the customer as regards the details contained therein unless any discrepancy in the particulars is reported by customer to Bookingee.com within the same working day of its issuance. The tickets are subject to availability and also subject to the rules as framed by the concerned airlines. 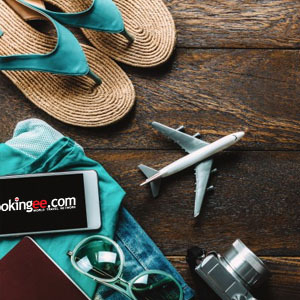 It is the obligation of the customer to notify Bookingee.com of any changes in their designated representatives and Bookingee.com will not be liable for any bookings made by unauthorized persons. That all statements of fact contained therein are true and complete and accurate. It has satisfied itself about the passenger’s credentials based on the documentary evidence. That customer has complied with all applicable laws. Customer agrees to abide by the terms and conditions of purchase imposed by any airline with whom customer elects to deal. Unless otherwise stated in the fare rules, all fares are “non-refundable”, “non-transferable” and non-assignable” and cannot be changed once purchased. Customer is responsible for ensuring that it abides by the terms and conditions of purchase imposed by any airline with whom customer elects to deal, including terms and conditions of purchase set forth in an air carrier's fare rules or contract of carriage. Ticket orders must be placed on platform or by email as reply to the quote email with clear indication of price quoted & accepted and the itinerary to be ticketed. Bookingee.com will not issue airline tickets unless directed by authorized representatives of the customer. P & M Travel Technology may, but shall not be required to request that such direction be received in writing prior to the issuance or cancellation of any airline tickets or making any modifications thereto. E-tickets will be dispatched electronically without additional charge. Bookingee.com will ticket if the booking is within deadline or if the itinerary can be rebooked. Bookingee.com will revert back within 3 hours if the ticket order cannot be executed. Customer will be notified promptly if its fare cannot be ticketed and in most cases an alternative may be offered depending upon feasibility. If customer declines the alternative, it will not be charged. It is customers responsibility to ensure that sufficient funds are available for any air ticket purchased. On rare occasions, customer may receive a flight confirmation, but the airline may not accept the request to issue a ticket. In this event, Bookingee.com will email customer a rejection email without being liable or responsible for such rejection. It shall be the sole responsibility of customer to give the correct latest address/email id. In the event of communication via email, customer will not be charged for such notification. If customer agrees to a wait listed PNR, the PNR is not confirmed and may be cancelled. Once confirmed, customer will be notified of the final price. Customer is responsible to provide all information with respect to flight schedule changes to the traveler, whether or not listed on PNR’s. In the event the flight schedule change is not indicated on the PNR, Bookingee.com will use its best efforts to notify customer of any flight schedule changes. 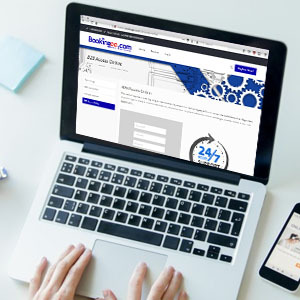 Bookingee.com upon customer’s request will use its best efforts to accommodate traveler requested changes in the flight schedule. Any costs in this regard will be borne by the customer. Bookingee.com reserves the right to refuse issuing the tickets while the flight departure time is less than 240 minutes. in very rare circumstances the ticket cannot be issued and Bookingee will refund the money with full amount. our sales team will inform you in less than 45 minutes after you reconfirmed you bookings. The Buyers will inform that passenger may Check-In and print boarding pass up to 6 hours before flight departure specially for Low Cost Carriers in advance. Bookingee.com is not responsible for those passengers who forgot to do the mandatory online check-in before their departure in case of any extra charges by airline. Stay updated with our special promotions & packages. All rights reserved by Bookingee | © 2011.